The developmental pediatrician's impression of Gavin (both from meeting him, historical medical information and information from me) is that our five year old superhero is at a 15-18 month level developmentally. It's not that this is a surprise to me. To be honest, that's just about where I placed him in my own mind. But hearing it - it's the one thing I've managed to avoid hearing, thinking about, discussing until today. She also told me that Gavin will likely be diagnosed with an "intellectual disability" (that's the new term for the old and outdated "mentally retarded" that is no longer used). You'd think that would bum me out more, right? But it doesn't. I don't care about titles like "Cerebral Palsy" or "Developmentally delayed " or "Intellectual Disability" - because more titles means more services for Gavin. And I'll take anything I can get to help my little man along the way. During the visit, she asked a lot of questions and was quite surprised by a lot of my answers. Halfway through the visit it kind of dawned on me why people might go to a Developmental Pediatrician. She was expecting to offer me information - plug me in to services I didn't know about - or explain different treatments to me that I hadn't heard of. She soon realized that we've pretty much met everyone, tried everything and got ourselves plugged in to just about anything and everything out there for Gavin. She wasn't all that impressed with our alternative treatments (Hyperbaric Oxygen, Dr. Trish, Acupuncture) - many doctors aren't. But, as I told her, you can't argue with results. We were lucky along the way - we had many knowledgeable people placed in our path to help us and guide us. Gavin's Early Intervention nurse, Kim, was and still remains a wealth of information and a very compassionate friend. She sat Gavin at a table and asked him to do basic things - grab a crayon and draw, place shapes into a shape sorter, put a square block in and out of a cup and use a peg board. Gavin didn't perform. At all. I felt my anxiety rising - but decided to let it go. I just didn't want to care. It's not like I could have forced him to perform. And I already knew her estimation of his developmental age was only partially based on his performance for her so it wasn't like it would have helped matters. 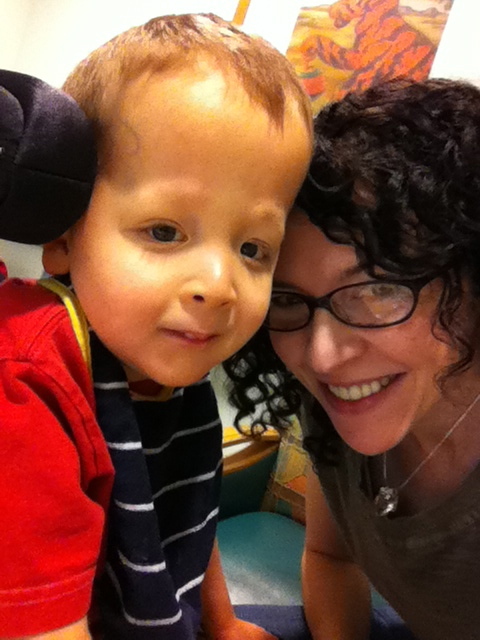 A few years ago, I had an expert to the house to discuss Gavin's therapy and his developmental progress. When she looked around our playroom (that some say resembles an aisle in Toys R Us) she remarked that I was doing him a disservice by having so many "cause and effect" toys. Gavin can easily manipulate his toys. He pushes a button and things light up or play music. He spins the toy and it makes noise or sings. He can easily access his books and turn hard pages. She thought, in order to motivate him to make progress, I should strip the room of all those kinds of toys and replace them with old fashioned manipulatives. Shape sorters, bead mazes, etc. Out of fear that I was holding him back, I did it. For the following three days (that's as long as I held out) all Gavin did was bang his teeth. There was nothing in that room to engage him, excite him or interest him. So he banged his teeth on the furniture. I've thought about that little experiment a lot since then. Until today, I still thought I did the wrong thing by giving him all of his toys back. I still believed I "held him back" by making it so easy for him to have fun. I guess, in a way, today was validating. If Gavin is operating at a 15-18 month level - and if this doctor is telling me that at this point, at five years old, it's not an option for him to "catch up" with is peers - then shouldn't we meet him where he is? Just as I wouldn't expect Brian to play Chess at 3, why should I expect Gavin to play Legos or enjoy an Abacus? The one thing that she said she could help me with? Pointing me in the right direction to find someone to talk to us about long term planning. Excuse me again while I go throw up. This is the one area that keeps Ed and me up at night. We can save all the money in the world for Gavin...but who will care for him if we die? We can't put all the pressure on Brian. He will grow up and have his own life and may not be able or want to care for his disabled brother. We can't assume family will take him in. That's a lot to ask. And I'm the youngest in my family which means if I'm dead of old age - they probably are, too! The thought of Gavin sitting in an institution being "cared for" by strangers is something I call a nightmare. It's something that a lot of people don't talk about - or even think about - but it's a harsh and frightening reality. It's one thing to assign guardianship of your typically developing children in the event you suddenly die and they are young. It's a whole other story to plan for a child like Gavin. There is so much involved and it's SO much to ask of someone. Have you made plans for your young child's future? Or, do you have an adult child that is being taken care of by someone other than you? If so, I beg of you to comment here on this blog so other's can benefit from your advice and experience. What did you do? How did you plan? Who did you talk to? Please share here and not on Facebook for the benefit of those who are not on Facebook. I know we're not alone in our fears, so your thoughts and experiences could help so many people. Excuse me while I take a deep breath. And scream. The highlight of our day? 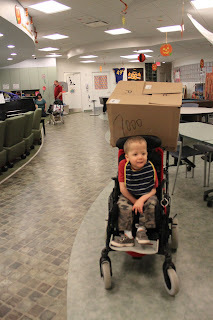 Besides the nice one on one time that we always enjoy at the hospital, Gavin and I made a special delivery!! Thanks to our wonderful friends, Tracy and Beth, at the Just Between Friend's Sale...we were able to bring a gigantic box of toys for all ages to the Child Life Program at Dupont!! Child Life is not just a huge room with just about every toy, game, book and DVD you can think of. It's not just a place where babies can play with toys...little kids can color...or older kids can play pool. They also go room to room for those children that can't leave their beds and bring them whatever they can to pass the time. When Gavin was in the ICU this summer and we watched every movie we brought five times, they brought him some from their collection. And they sent him home with a new stuffed toy that sings Christmas songs. Gavin loves Christmas music. We were so happy we were able to contribute to their wonderful program - and grateful to all the sellers at the Just Between Friend's Consignment Sale that marked their unsold items for donation!! It will really make a difference in the lives of the patients and families at DuPont. This is such a hard issue. We recently asked a family who is very likeminded and close friends if they would take our children (keeping them together) in the event that something happens to us. They know Callie and her issues, and understand what kinds of helps she needs, and when we push her to do things on her own. It was a very hard choice. But for us, having them go with a family who has a Biblical Worldview, staying together (and with 8, that isn't easy by itself! ), and having similiar paranting philosophy were our most important factors. We want the to continue to grow up in a family that doesn't encourage dating, but rather courtship, where mom stays home, and homeschools the children, where God was put first in all they do. My aunt recently had to plan for her daughters future. They found an amazing facility near their home. It has 2 care levels. One is more supervised, lots of assistance, etc. The other is more independent where each lives in an apartment. They still have some assistance when needed, plus a little bit of extra security that you don't get at a normal apartment. If, God forbid, something should happen to them, she will go there. There is also a good chance that she will live here as an adult in one of the apartments. The nice thing about it is that she will only have as much assistance as she needs, no more and no less. She will be as independent as she can be. And her parents know she will be safe there. They knew that no family member could take this on. The only option they really had was to find a facility where they knew she would get everything she needed. 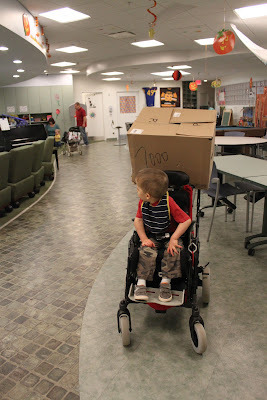 This might be an option for Gavin, but at a facility in PA rather than IL. The facility is really great about individuals spending time with family. Brian would likely love spending time with his brother on a regular basis as an adult, though it is probably too much for him to have to care for his brother while trying to live his own life at the same time. Look at everything near you. Tour the facility, talk to patients and families that are there, talk to staff. Look at all of them in the area. And let your heart decide what is best for Gavin. Nobody knows him like you do. Only you can know what's best for him. Sorry, I wrote a response earlier and my browser closed, so you may get this twice. My coworker, Lindsay, has an older brother with Down's, their mother has survived brain cancer twice and is around 60, their dad passed away 10 years ago. Lindsay understands that once her mother passes her brother will become her responsibility. Lindsay doesn't consider this a burden. She is so proud of Chris and his accomplishments. She is constantly bragging about him, volunteers with Special Olympics, and when she built her home, built a suite for him and the limitations he has now and adaptive to what he may later face. I'm sort of on the opposite end of the problem in that I'm 29 and have CP that affects me in various ways and as such although I'm not affected conginitively i'm quite dependant upon my parents physically. I do worry what will happen to me when they die and have no answers. This is unrelated, but it's something I think you might be very interested in. TGen has created a new Center for Rare Childhood Disorders. The website is c4rcd.org. Currently, their study is for children with neurological disorders of unknown etiology. Not sure if Gavin is qualified for it, but it's something that might be worth looking into. It could provide some answers that you have been looking for. This post was such an encouragement to me. As we face uncertainty with our four year old, I want to have an attitude like you do. Thank you! If major parts of my brain had to rewire, and be used for functions never intended, the fact I was learning and progressing would be amazing!